T-Mobile is upgrading its Jump plan introduced two years ago to allow subscribers to move to new smartphones more frequently than before. The new Jump On Demand option lets you lease a smartphone for a small monthly fee, then trade it in for a new smartphone up to three times per year at no additional cost. For example, a base model iPhone 6 would cost $15 per month to lease with Jump On Demand after trading in an eligible smartphone. 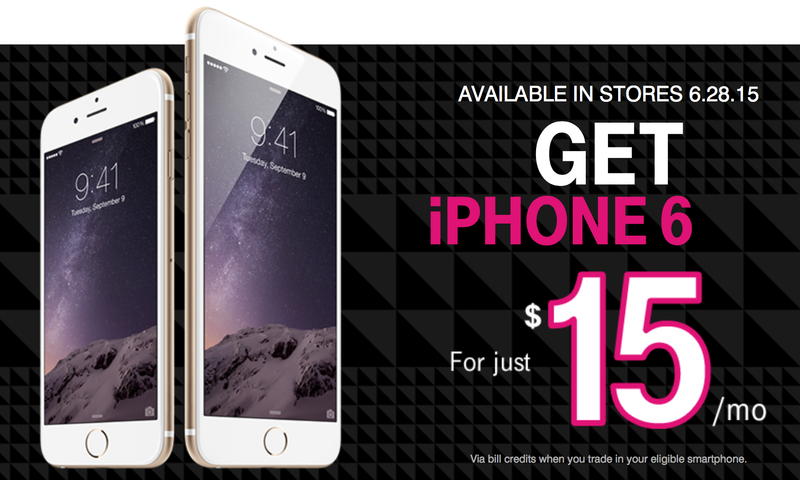 Without upgrading, leasing that iPhone 6 through Jump On Demand would carry the monthly fee for 18 months. Then T-Mobile will provide a purchase option, $164 in the case of the iPhone 6, if you choose to keep the leased device as owned. The appeal of Jump On Demand, however, is the ability to switch between the latest smartphones as they launch. This is a much bigger deal in the Android space as more flagship devices are announced throughout the year, but an iPhone user wanting to switch between the iPhone 6 and the iPhone 6 Plus or similar in the future might find Jump On Demand useful as well. T-Mobile notes that its pricing on the iPhone 6, which is calls the industry’s lowest yet, is for a limited time. The carrier also says existing Jump customers can move to the new Jump On Demand plan the next time they upgrade. T-Mobile says its new Jump On Demand option will be available starting Sunday, June 28th. You can read more about the new plan and all the fine print on T-Mobile.com. In the meantime, here’s a 2-minute video of T-Mobile’s CEO John Legere pitching Jump On Demand.